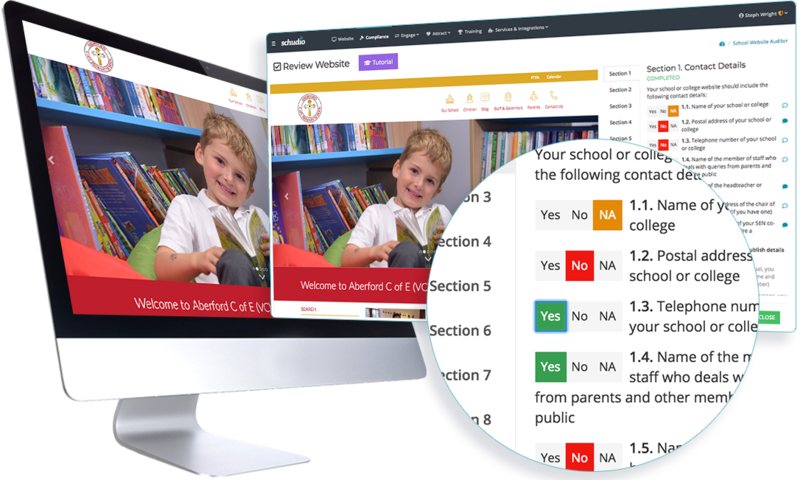 Our job is to make it as easy as possible to keep a brilliant, active picture of life in your school up to date. Our unique school website software makes that incredibly easy. 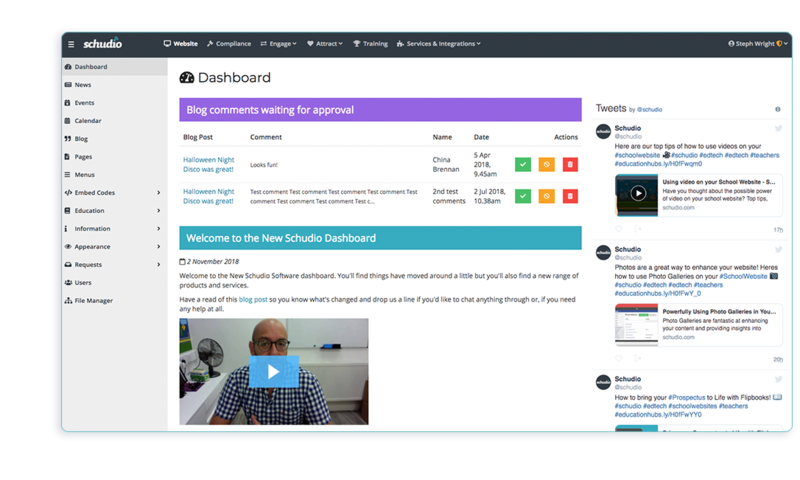 Engage your community, empower your staff and students, exceed OFSTED requirements and look stunning with the Schudio School Website Software! Parents and prospective parents love nothing more than seeing beautiful photos and videos of life in school. Adding photo galleries, video, flipbooks and other beautiful, rich media adds to the depth of your content and draws users into a greater level of engagement. So your school website software should make that as easy as possible. Parental engagement is all about two-way conversations. The first step is to tell the stories of life in school, but you need the power to spread the word, empower your parents to reach out to you and encourage greater interaction. 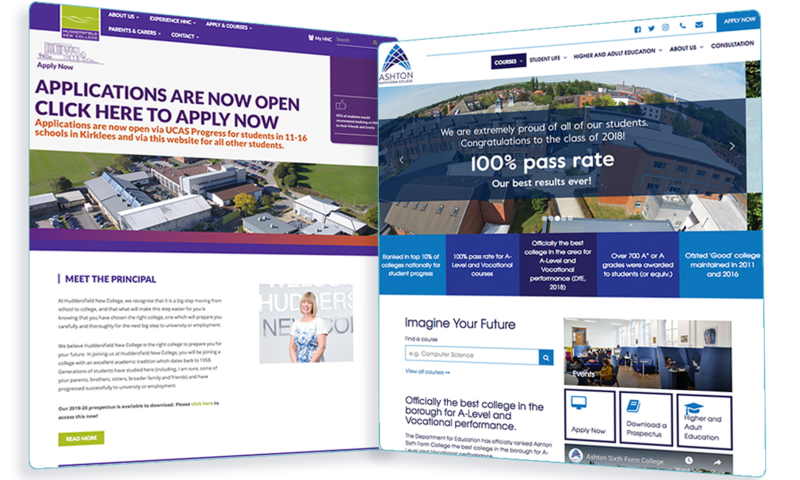 Great school website software gives you the tools to do this effectively, whatever your skills and experience. But the need goes far beyond just compliance! Your policies need to be presented in the correct way, your courses need to be promoted effectively and the way you care for and educate students needs communicating effectively. Your school website software must be your friend in achieving all these goals. 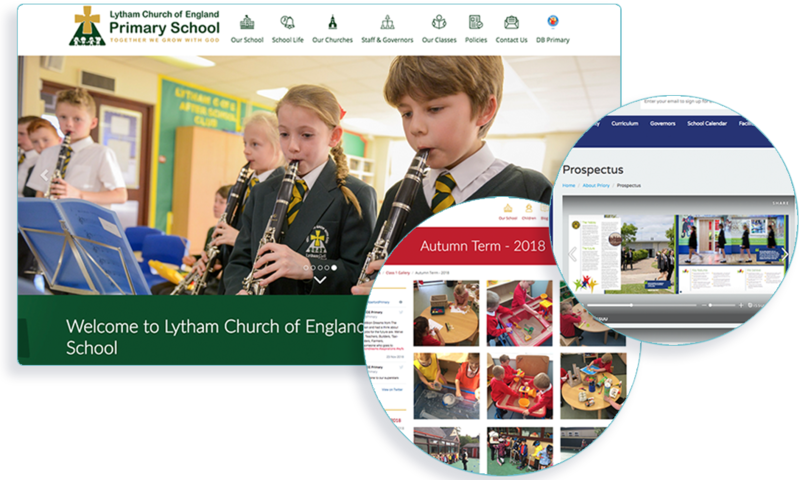 Extending the possibilities of your school website software is where some of our key partnerships come into play. 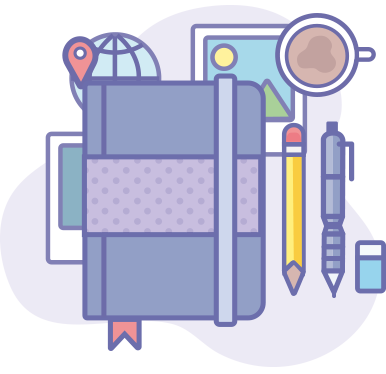 If you're looking to send much, much better emails to your parents (ie much better than PDFs in emails) then we have an integration for that. Perhaps you're looking to offer Live Chat on your website? That's covered too.